Home / Moving tips / How to save money on student accommodation? How to save money on student accommodation? When you have to move away from your homes for studying abroad or for studying in some other city, there are a lot of things that you need to consider and to enjoy your period for being a student. There are many choices that you have in this case and most of them are dependent on your own selection. When you have to live away from your own home, you learn how much difficult it is to survive on your own and to save money for all the things you have to so there. No matter how much money you get, you never are filled with it when you are living at your own. Therefore it would be a wise decision to go looking for some tips that can help you save money during your student life. Once such way could include saving your money on the accommodation. Here we are going to discuss some options that will prove helpful to you regarding the saving on the accommodation. When it comes to knowing the halls and other options in your city, the best thing to do is to consider the options and know them well. There are halls and hostels of all the types out there so you can go for the one that suits your pocket most. Of course those with a lot of luxuries could ask you to pay a lot even for a single week as well. However, there are others too where the light switches emit water but compromise has to made in one way for the least. Internet is the best way to find out what is happening out there and what are the hostels and halls offering. So all you have to do is to sit in front of it and start searching for the options in your city. The sites like student one accommodation can provide you with the choices according to the facts and figures you have entered in it. Instead of getting played in the hands of the agencies who help you get to your hostels and halls, try doing it all privately and personally not only to save money but also to save time and to know yourself too that what is it all about. The more knowledge you will have for these things, the better it will become for you to search for the available options and stay away from scams and frauds. A point at which most of the students get to lose a big deal of money is that they do not talk about the concessions, discounts and hidden charges. You should ask for all the details and read in depth the terms and conditions to know how you can respond to all these things. Also make sure that you have thoroughly read the contract so you don’t get to pay for something that you are not getting at all. Next What Should You Do After You Have Moved Home? 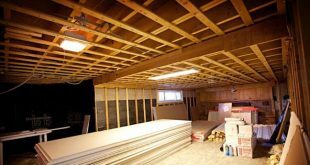 Do You Need To Do Basement Renovations?